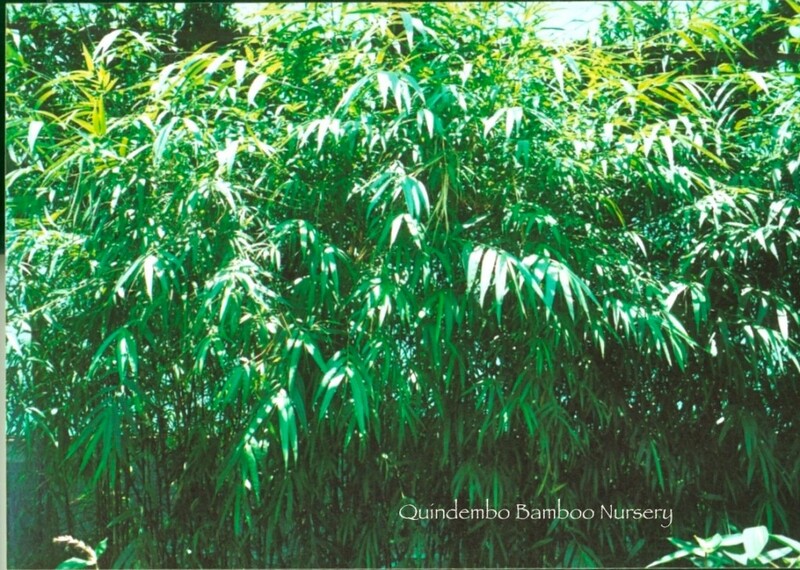 Originally from the tea growing regions of India, this extremely graceful bamboo is one of the smaller blue bamboos for mauka gardens. 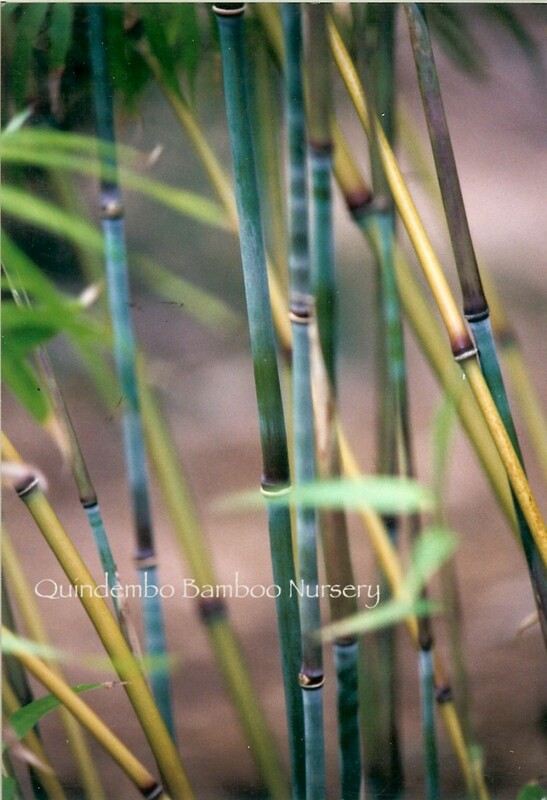 The new shoots are burgundy and the new canes are covered with a white powder that makes them appear blue. The leaves are dark green and sinuous. The slender canes (12-18 feet) have an exquisite white ring below, and maroon coloration above, each node. Prefers higher elevations or at the very least, filtered light. Fabulous container plant. Not coastal. If you are looking for a coastal plant with some similar attributes, please see Mayan Silver.